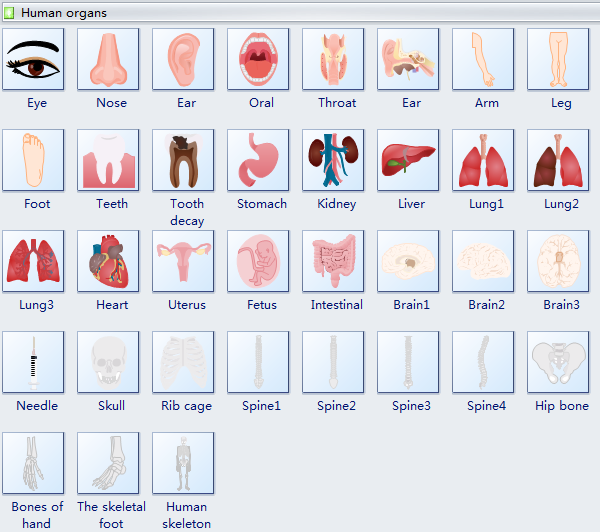 Creating human organs diagram with free templates and examples. Drawing human organs diagram has never been easier. Human organs diagram is a kind diagram which can clearly show the organs of the human body. 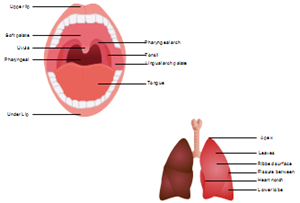 Human organs like sensory organs, taste organs, smell organs, hearing organs, genital organs are important parts of a healthy human body. Human organs diagram helps you better understand your own bodies so that you can take better care of them. Edraw is a versatile and flexible software for you to draw all kinds of scientific diagrams. 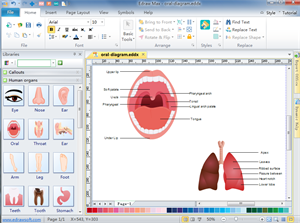 Human organs diagram software enables you to quickly draw human organs easily and quickly. All you need to do is just drag and drop ready-made human organs diagram templates on your drawing page and edit them according to your own needs. Edraw software offers you lots of useful shapes used in human organs diagram like eye, nose, ear, oral, throat, ear, arm, leg, foot, teeth, tooth decay, stomach, kidney, liver, lung, heart, uterus, fetus, intestinal, brain, needle, skull, spine, rib cage, hip bone, bones of hand, etc. Download this human organs diagram template to get started rapidly and save it for future use.